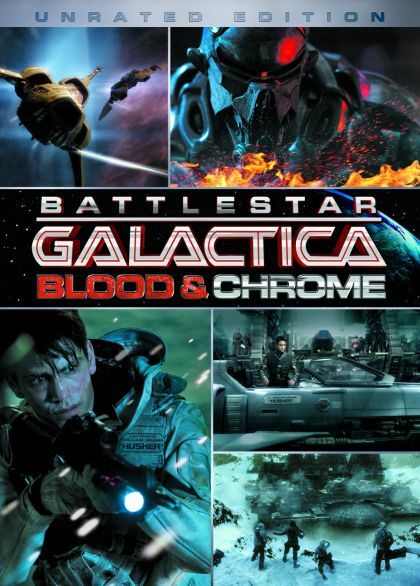 Battlestar: Blood & Chrome, which takes place in the 10th year of the first Cylon war. As the battle between humans and their creation, a sentient robotic race, rages across the 12 colonial worlds, a brash rookie viper pilot enters the fray. Ensign William Adama (Pasqualino), barely in his 20's and a recent Academy graduate, finds himself assigned to one of the most powerful ships in the Colonial fleet...the Galactica. The talented but hot-headed risk-taker soon finds himself leading a dangerous top secret mission that, if successful, will turn the tide of the decade-long war in favor of the desperate fleet.